The monsoons have set in here at Bangalore. It has started to get chilly as well and of course I end up getting drenched on the way home most of the days. It is no wonder that I have a cough that refuses to go away. I am definitely a summer lover (even though I am born in the winter). 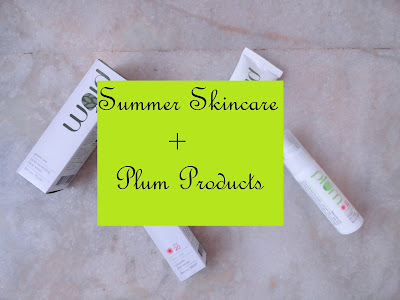 When I got back from Abu Dhabi, I came home to these two products from Plum Goodness and have been using them for a month now. 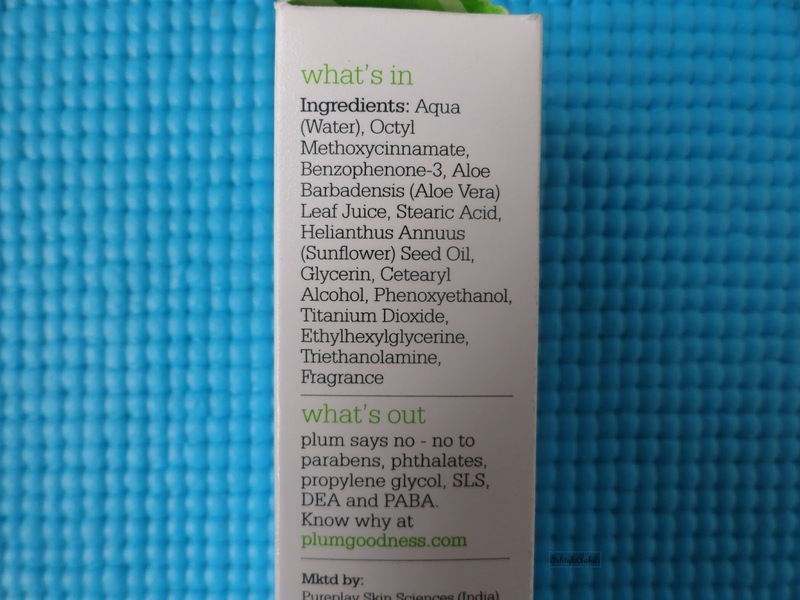 Plum is a skincare brand that is natural and made with fresh ingredients. 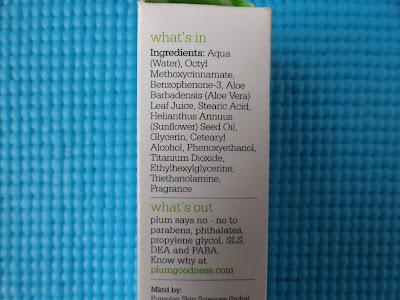 Over the past few years there has been a huge explosion of natural skincare brands and the one thing that I really like about Plum is that all their ingredients are listed clearly. 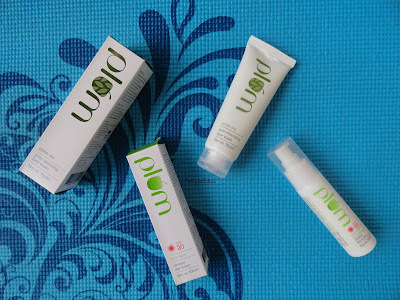 The USP of the brand is that they are SLS, parabens and DEA free. 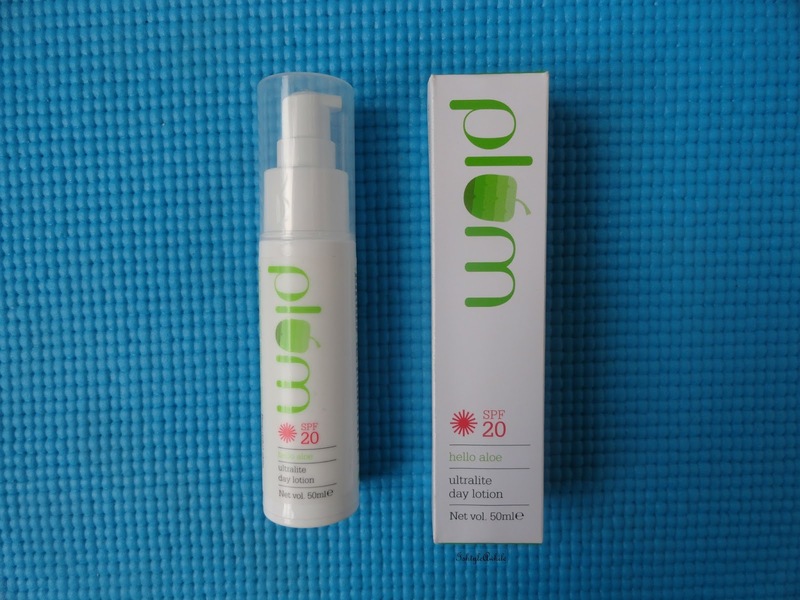 The brand sent two products for my oily-combination acne prone skin. 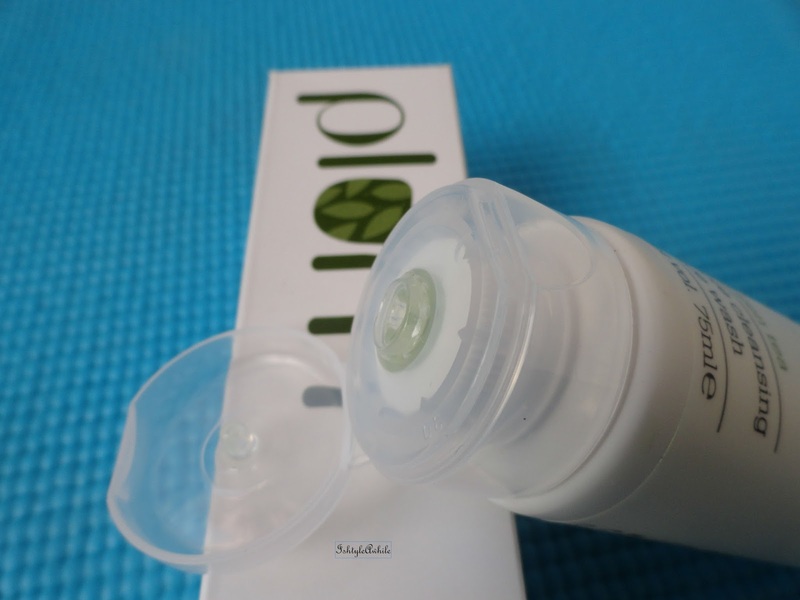 A simple white tube that contains a translucent product with small green exfoliating particles. 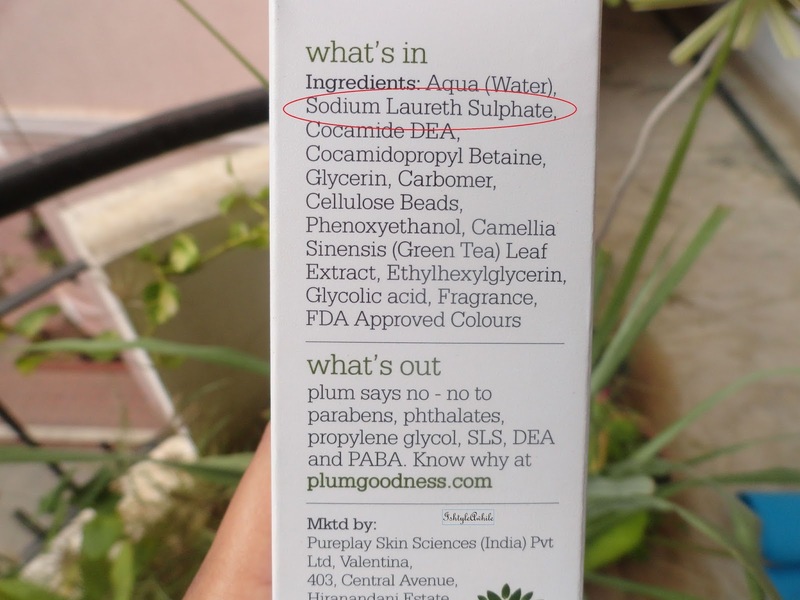 The product claims to be SLS free, however one of the first ingredients listed on the tube is Sodium Laureth Sulphate (SLES) which is a modified version of Sodium Lauryl Sulphate (SLS). 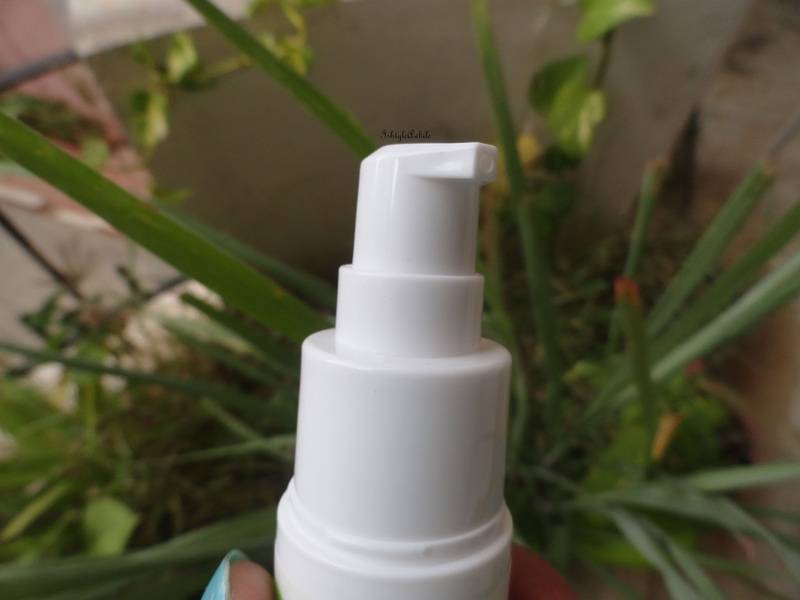 SLES is definitely less harmful than SLS, but if you are allergic to SLS, I would suggest that you stay away from SLES as well. I don't mean to scare you guys, but one of the by-products during the manufacture of SLES is a carcinogen. (And the Biochemist in me just popped out to say hi to you all). So yes, though it does live up to the claim of being SLS free, is does contain SLES, so be warned. I quite liked the facewash. 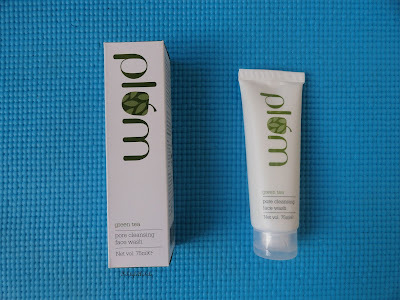 It is a faint smell of green tea and feels very mild on the skin. 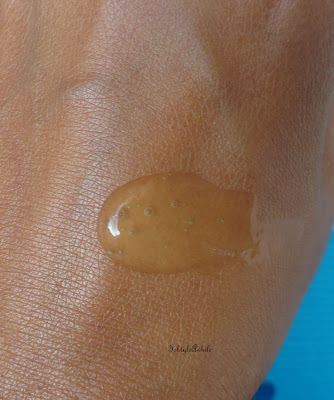 It didn't irritate my skin and the small green beads do seem to exfoliate but are not harsh at all. My skin felt clean and hydrated as well. 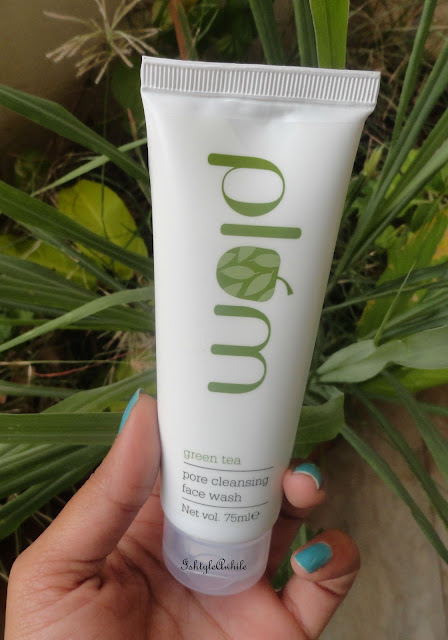 The Green tea pore cleansing facewash didn't keep my acne away but I never expected it to. I know I have adult acne that is controllable only with medication and diet. So I never rely on facewashes to keep pimples at bay. 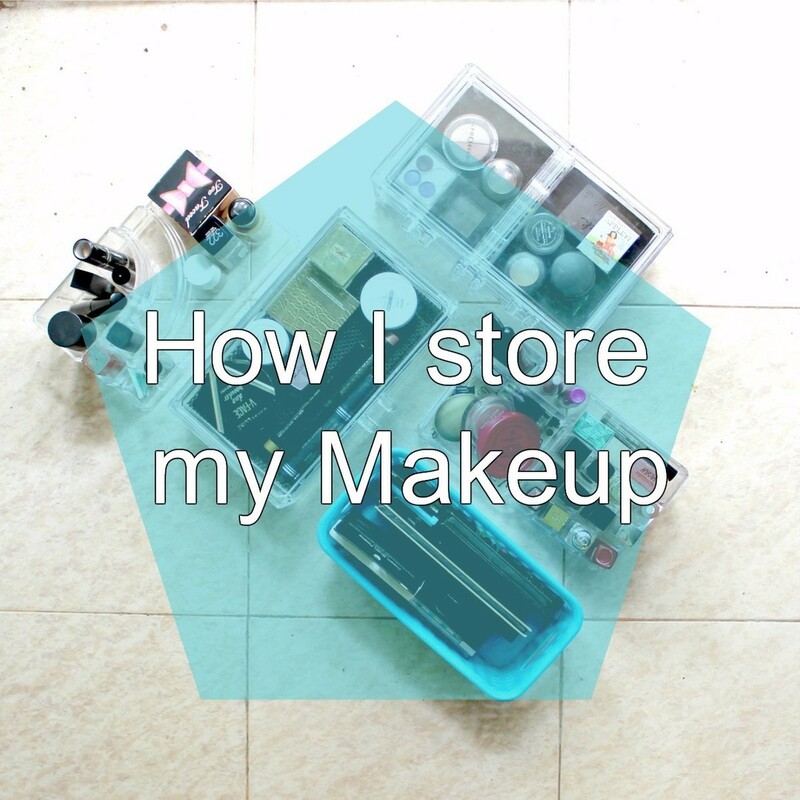 It did keep my skin feeling fresh and I had good skin days where my face looked healthy. 2) Hello Aloe Ultra Lite Day Lotion SPF 20. I love this!! Clearly you can see how excited I am to talk about this. 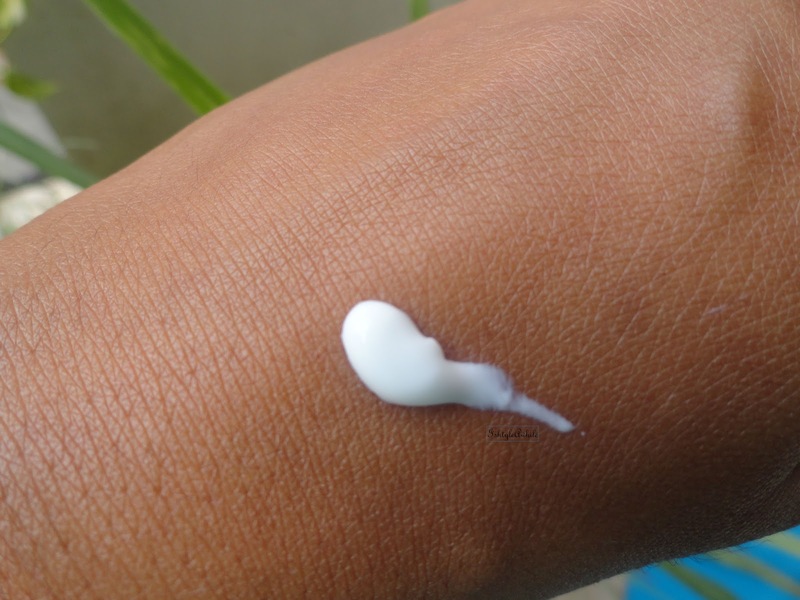 It is a light, hydrating moisturiser. It looks like a regular moisturiser, white in colour. But when you put it on your skin, it feels so light, refreshing and has a slight gel like consistency. It does smell of Aloe Vera, and I find that pleasant and very faint. The fact that is has SPF is a bonus. 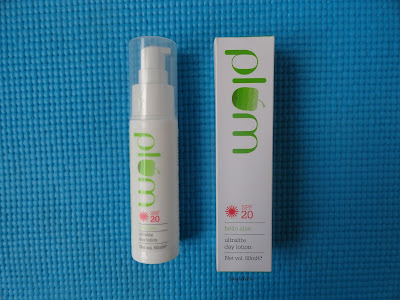 My face did not get excessively oily in the summer and I will definitely reuse this in the drier months to see how it fares. The packaging is a simple white tube with a pump. 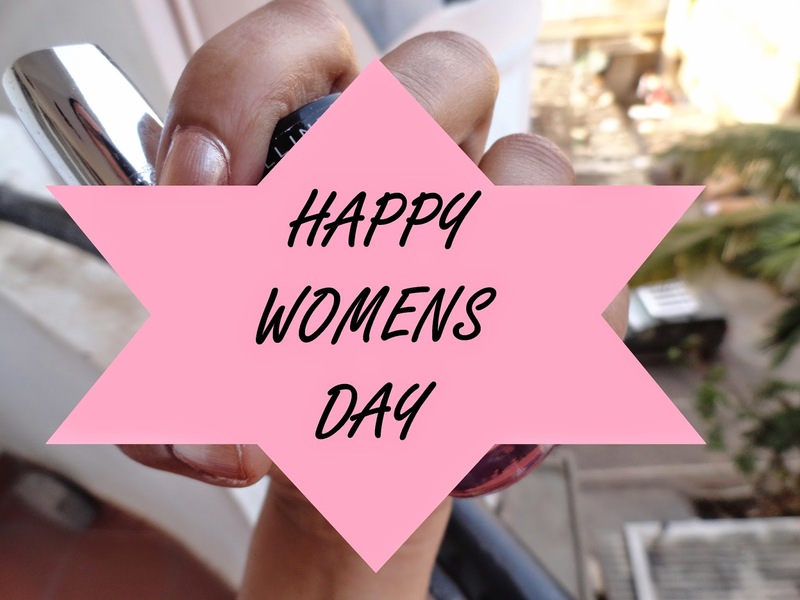 The amount of product that you get with one pump is neither too much nor too little. I find that 2 pumps is enough for my face and down till my neck. 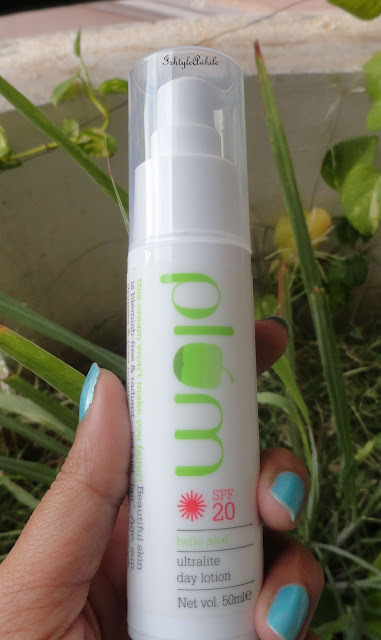 , this is another moisturiser that I have grown to love. I really do see myself repurchasing this. My sister has dry skin and she used this and she liked it too. I guess I would say that for the summers, even dry skinned beauties can use this. However it may not be hydrating enough for the winters. 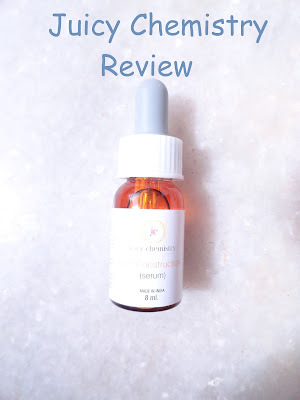 Well now that the monsoons are in, my skincare is changing slightly. Will definitely keep you updated on that in a month. Let me know if you have tried any Plum products in the comment section below.